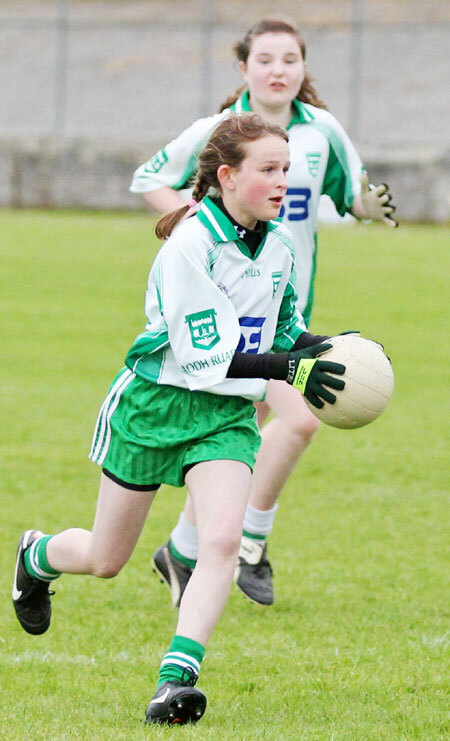 The Aodh Ruadh under 14 girls put in a solid performance to record their fourth successive win of the campaign, this time defeating Kilcar. 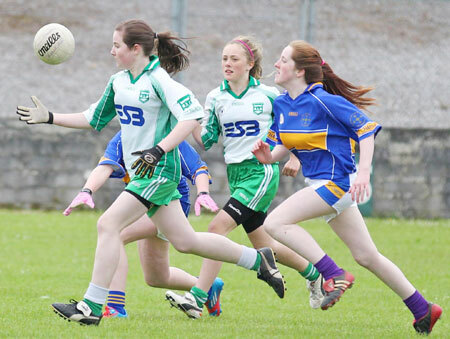 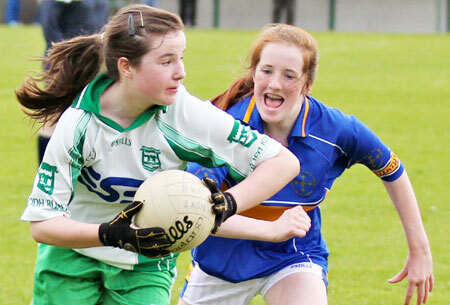 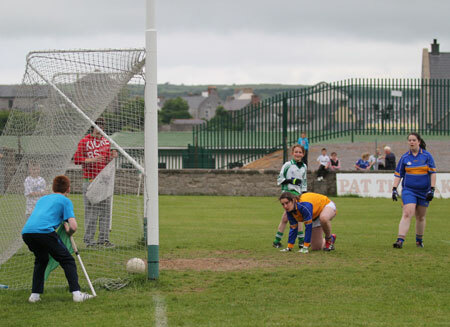 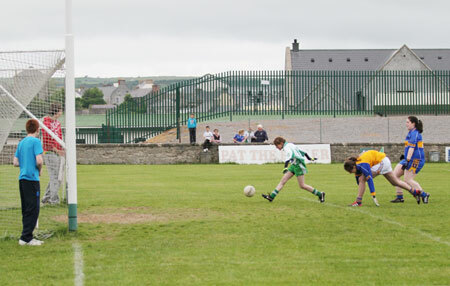 Aodh Ruadh dominated for most of the game and were unfortunate not to have totted up more scores. 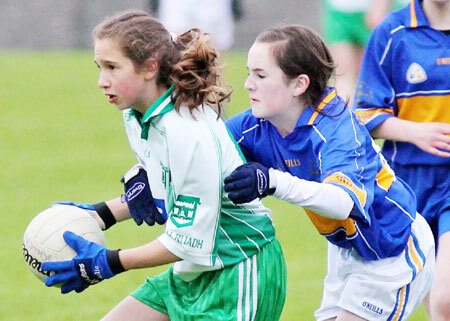 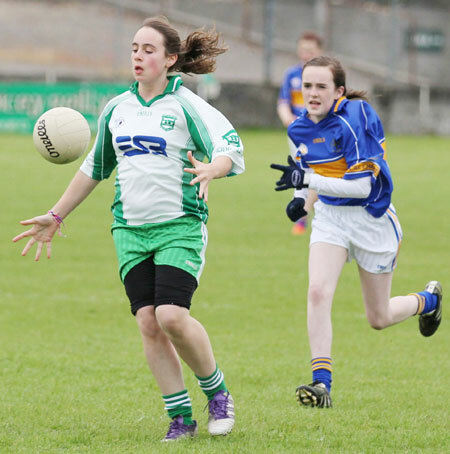 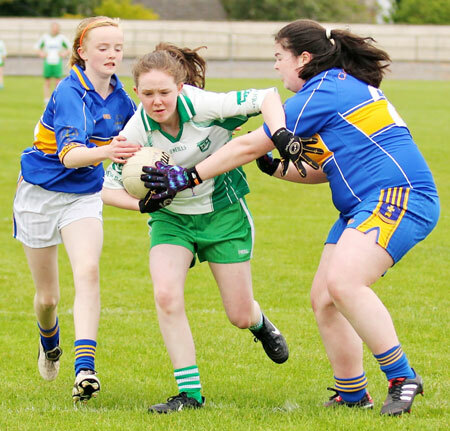 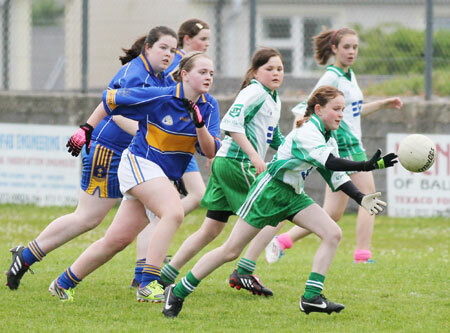 While the girls did extremely well credit must be given to a capable Kilcar team who, with a couple of fiery forwards, always looked dangerous going forward. 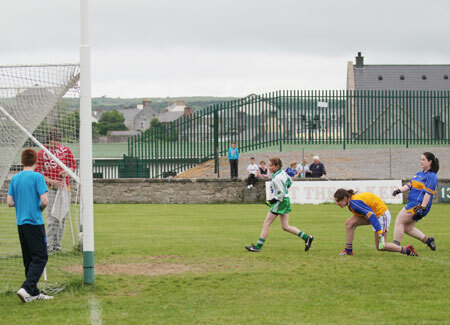 A few excellent saves from Kelsie Warren kept the girls on the correct side of the score line. 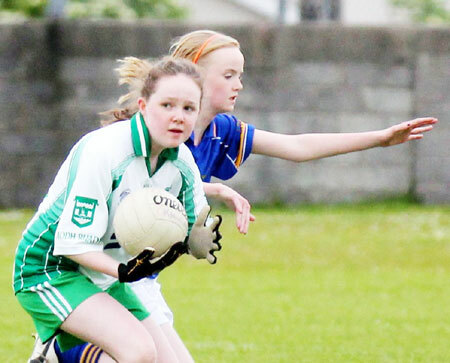 She was assisted by her defenders who made each score difficult for the opposition. 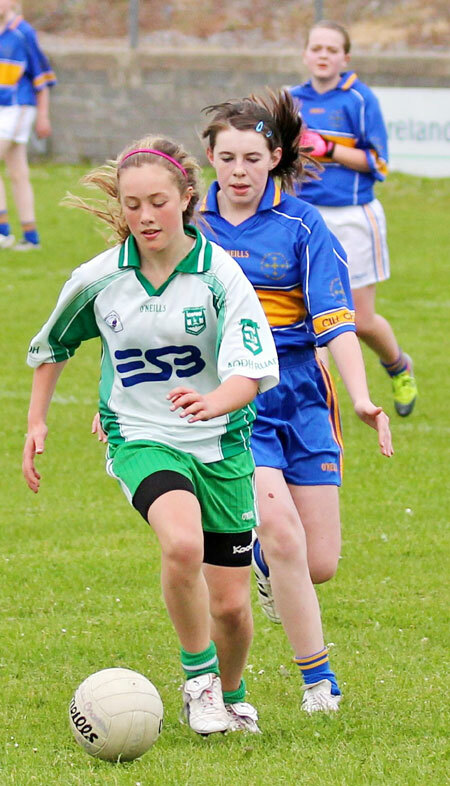 Orlaith Gillespie and Meabh Rooney contributed greatly with endless running at the middle of the field against a strong Kilcar pairing. 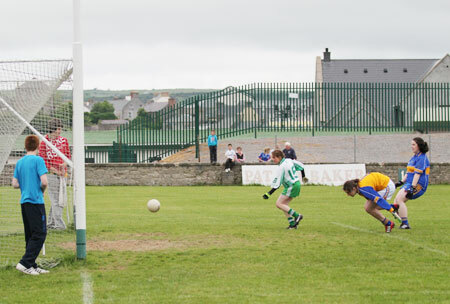 The Ballyshannon forwards all worked of their socks to get the scores that counted. 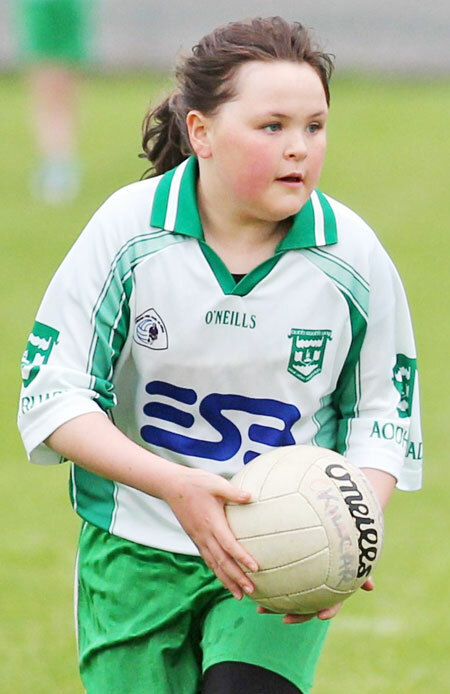 Mary Flora Scott was on fire again getting three goals bringing her last two matches tally to seven goals. 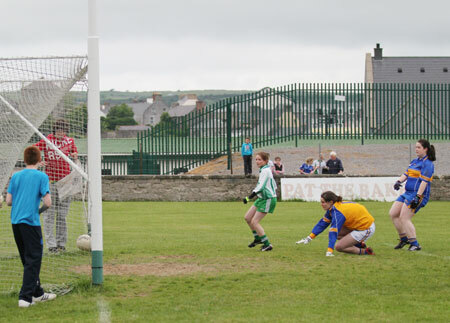 One of these goals was a crucial late effort on Tuesday that hit one post and rolled right over to the other before finding it's way over the goal-line much to the Aodh Ruadh supporters delight. 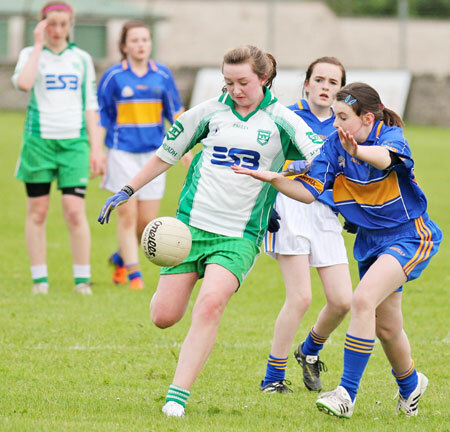 This victory brings the girls to a county semi-final due to be played on 26th June. 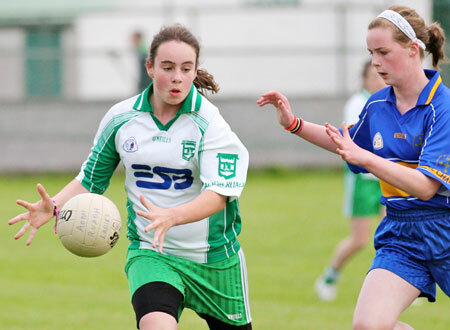 The opponents for that semi-final have yet to be decided as there are a number of the games from the north of the county remaining to be played out. 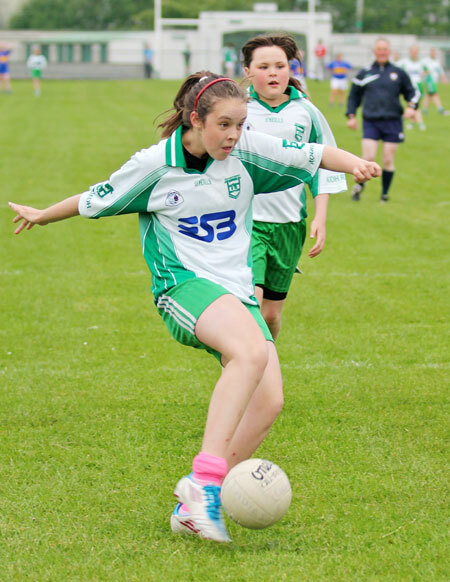 Kelsie Warren; Lorna Mattews, Aoife Bromley, Rois�n Meehan; Laoise Gallagher, Laoise O'Connor, Shelly Loughlin; Meabh Rooney, Orlaith Gillespie; Dearbhaille O'Moore, Aimee McCafferty, Tara Duffy; Bronagh Kelly, �ine Gillespie, Mary Flora Scott. 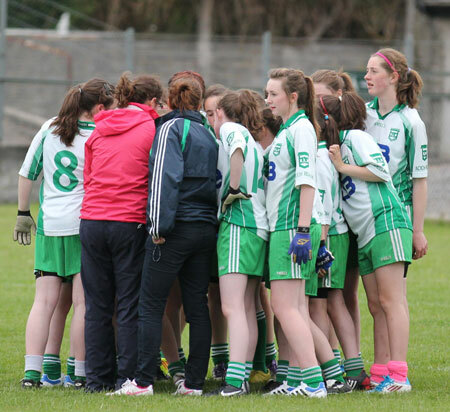 Substitutes: Maura Travers, Danielle McNulty.